Anushka Sharma debut production and starrer latest venture NH10 seems to be tracking off somewhere from its route after peeping on the three days performance of the film. Flick is not doing the performance as was being expected earlier from it by the critics as well as the audience though it was already low. 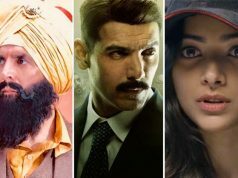 Lead characters have been liked by the audience but even the good story and dedicated work could not save the film from being sliding away from its highway itself. 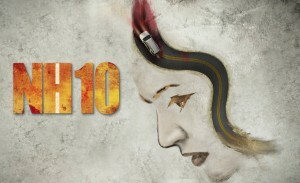 NH10 has released on good numbers of screens but still it is not making the desired business from its film makers. On and on, film has entertained the audience in bits and parts as much it was being predicted from it. As it is Sunday that’s why many people watched this movie. Some it was already predicted that it will get good audience today which in turn happened and contributed some good figures to it total first weekend income. On its opening day the film made a decent business whereas second day showed lower performance than its opening day due to match. Only Sunday night and evening shows picked this movie with positive note and showed unexpected growth in domestic box office making Sunday collection of 5.45 crores. Total first weekend income of film stands at 13.30 crores with mixed reviews. It is being reported that movie leads in North India (Delhi, UP etc) and Mumbai mass dominated circuit. Now with weekdays it will face fall and much lower performance.